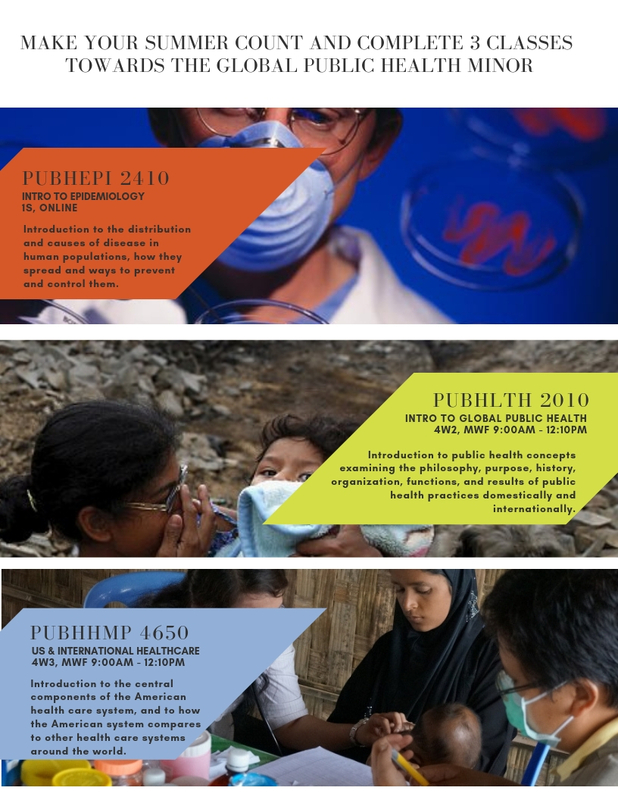 Make your summer count and complete 3 classes towards the Global Public Health Minor! The College of Public Health has a dedicated psychologist, Dr. Jennifer Smith, available to current College of Public Health graduate students and BSPH majors. Her office is located in Room 351 Cunz Hall, and her hours are Tuesday from 8:00am-12:00pm. Appointments can be made directly with Dr. Smith by emailing her at smith [dot] 11028 osu [dot] edu.